Home prices nationwide, including distressed sales, increased year over year by 7.1 percent in November 2016 compared with November 2015 and increased month over month by 1.1 percent in November 2016 compared with October 2016,* according to the CoreLogic HPI. ATTOM Data Solutions, curator of the nation’s largest fused property database, today released its 2017 Rental Affordability Report, which shows that buying a home is more affordable than renting in 66 percent of U.S. housing markets…Counter to the national trend, average wage growth outpaced home price appreciation in 113 of the 540 markets analyzed (21 percent), including Santa Clara County (San Jose), California; Suffolk and Nassau counties (Long Island), New York; Saint Louis County, Missouri; and Montgomery County, Maryland in the Washington, D.C. metro area. 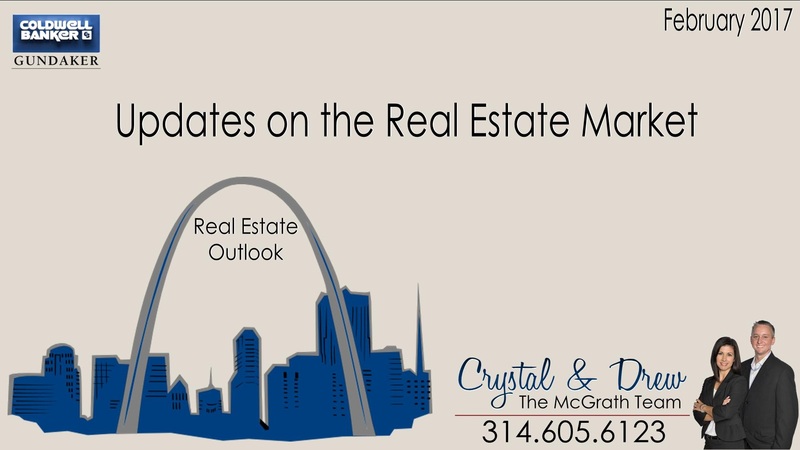 Figures bear out the prediction nearly a year ago that the St. Louis housing market would have a strong 2016…According to Mid America Regional Information Systems data cited Thursday by St. Louis Realtors, home sales in St. Louis city and county were up 9 percent from 2015. Sales last year were 19,082 compared with 17,738 in 2015. ©2017 NRT Missouri LLC. All Rights Reserved. Coldwell Banker Gundaker fully supports the principles of the Fair Housing Act and the Equal Opportunity Act. Operated by a subsidiary of NRT LLC. Coldwell Banker and the Coldwell Banker Logo are registered service marks owned by Coldwell Banker Real Estate LLC. Real estate agents affiliated with Coldwell Banker Gundaker are independent contractor sales associates and are not employees of Coldwell Banker Gundaker.